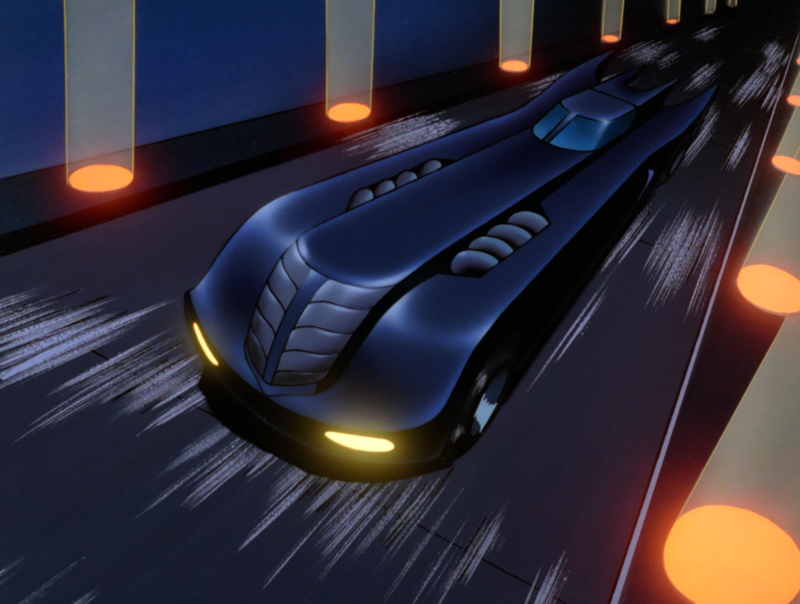 Batman: The Animated Series, which originally ran from 1992 to 1995, is arguably the single best adaptation of the world of Batman to have ever come into existence. Mixing 90s cartoon sensibilities with serious radio-style drama, Bruce Timm and Eric Radomski, as well as writers such as Alan Burnett and Paul Dini, managed to develop an intelligent show for kids that went beyond what was previously thought possible in children’s media. Taking influence from the pages of comic books and the aesthetics of Tim Burton’s 1989 Batman film, BTAS’s mood, tone, and often stellar storytelling not only stands the test of time, but it could be argued that it’s stronger today than it was back in the early 90s. 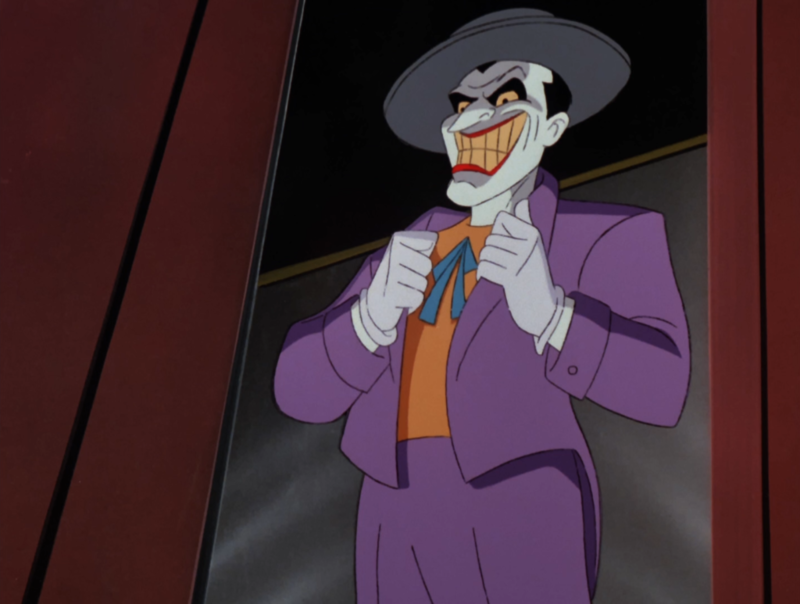 Perhaps most importantly, the show features the voices of Kevin Conroy (Bruce Wayne/Batman), Mark Hamill (The Joker), Arleen Sorkin (Harley Quinn), Paul Williams (The Penguin), Bob Hastings (Commissioner Gordan) and more, many of whom have become iconic standards for Batman-related media. 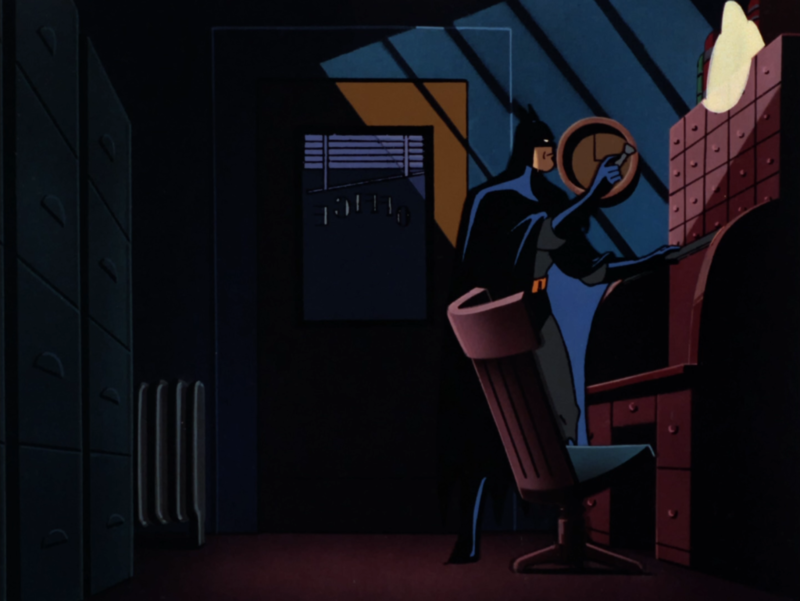 The success of Batman: The Animated Series led to two feature-length film releases, two sequel shows — The New Batman Adventures and Batman Beyond — and the DCAU continuity in general, including shows such as Superman: The Animated Series and Justice League Unlimited. And now, after years of an out-of-print DVD box set being the only physical media option, Batman: The Animated Series has been remastered/restored in 1080p on Blu-ray, available as a “Deluxe Limited Edtion” set. Not only that, but the new BD box set also includes the films Mask of the Phantasm and Batman & Mr. Freeze: SubZero, the 22 episodes of The New Batman Adventures, and a ton of special features. Having grown up seeing the show broadcast or via VHS on CRTs, and then on DVD for years after, the boost in 1080p clarity this remaster brings is mind-boggling. If you’re like me, it may take some getting used to, as the lack of clarity might have become part of the aesthetic in your mind. 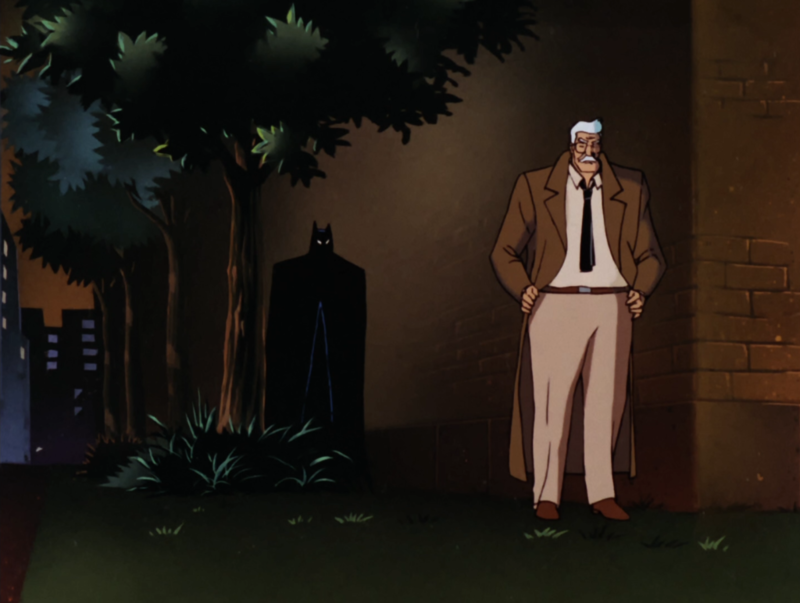 BTAS is a mostly dark show, with things coming to form within the shadows, so it played well with its original low-resolution presentation. As is expected with the additional clarity, you’ll see some irregularities with some frames of animation, pieces of dust, stroke-marks, and fluctuations in backdrops and so on — things you were perhaps never meant to see. The jump to high definition un-obscures the mystery; the virtue (or lack thereof) of this is dependent on each person’s preference, but it’s great to see that unlike restorations by companies like Disney, the effort here is to make the show true to its original format while increasing clarity — with no funny business otherwise. You won’t find the show looking like a weird digitized hack-job, but rather something that intends to preserve the history of this remarkable piece of art. If you respect Batman: The Animated Series like I do, then you’ll find that this remaster is as good as it gets. With commentary tracks and featurettes returning from the DVD alongside new ones made for this release, it’s a lot of awesome content for fans of the series. Unfortunately, this Deluxe Edition is a bit drab for the price. Housed in a cheap, flimsy cardboard box that’s sure to get bent, ripped, or otherwise bumped whenever you handle it, the quality seems more appropriate for a disposable display at a store than something you’d buy. There also seems to be a manufacturing error with this Deluxe Edition, as it comes with three ugly mini Funko Pop figures (Batman, Harley and Joker) that do not evoke a single characteristic of the characters they’re meant to portray nor the art style of BTAS. One can only assume they were placed here as a result of a mix up while on their way to their actual, appropriate destination at the garbage dump. 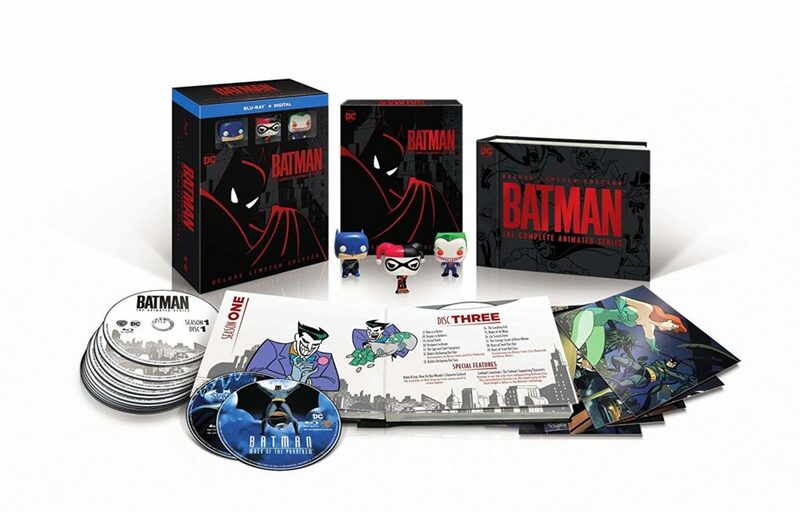 Within this “book” — and the menus of the Blu-ray as well — Warner Bros. still insists on calling The New Batman Adventures the third season of Batman: The Animated Series. While The New Batman Adventures is a continuation of the original series, it’s a separate show with different character designs, direction, and overall tone, so this inaccuracy for the sake of corporate cohesion remains annoying. At this rate, pretty soon Batman Beyond will be referred to as seasons 4 and 5. Unless you like collecting for the sake of it or simply can’t wait, I’d recommend steering clear of this Deluxe Edition, and instead just get the standard release once it’s out. Despite a low-effort presentation of the product’s packaging which cheapens the experience of physical media into a checklist of generic, soulless marketing tropes, the content within is cared for with a lot of love and affection. Batman: The Animated Series was a once-in-a-lifetime event, a collection of the right people coming together at the right place and right time to make something amazing. The magic that took life twenty-five years ago has never looked so good, and is ensured to be properly viewable for a wide audience for the rest of time. Another twenty-five years later I’m sure the series will be revered even more than it is today. This box set helps ensure just that. I think the packaging is fantastic. I did not have ANY problems with shipping, I think the Funko pops are very great looking, and nice, I like everything about the packaging and I think you are complaining about nothing.